We are releasing these short films one every 3 days up until the official commemoration of the Armenian Genocide on 24th April 2015. The first song appears here on Tuesday 24th March 2015. We will also be providing some historical background on specific photographs. My grandfather Levon Chilingirian served as Choirmaster in Baku in the 1890’s and later in Constantinople and Smyrna. 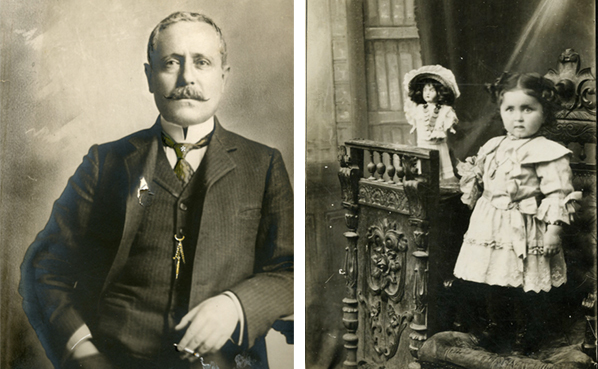 He was the first to introduce the organ into the Armenian Church in the early 1900’s. He was exiled to Jerusalem in 1922 where he died in 1934. The Boghossian Family is my wife, Susan’s maternal grandparents, later to change their name to Paul in the USA. 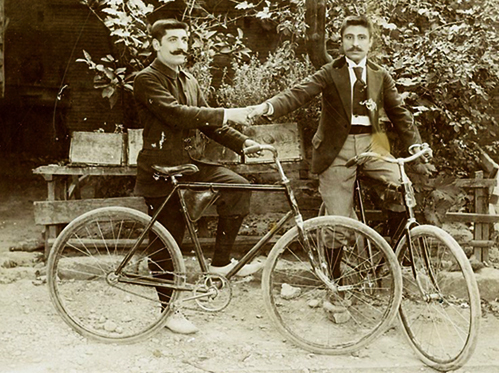 Stepan and Isgouhi Boghossian (later Paul) had five children in the photo taken in Kessab, circa 1910. Before Stepan went to the U.S. in 1914 they had a sixth child. Isgouhi was marched to the Deir Zor desert with her children and lost four of them. Her surviving daughter also died soon afterwards. She was a deeply religious woman and always kept her faith and never dwelled on the horrors she must have witnessed. Somehow, husband and wife found each other after the Great War and they moved to the U.S. where Susan’s mother was born in 1922. 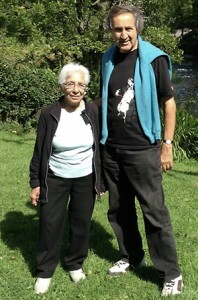 Helen Paul Pattie is now 93 and living in Minnesota, photographed here in the Lake District, England, 2014. 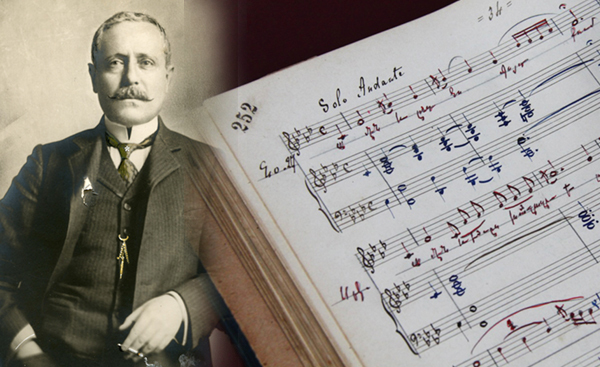 26th September 1869 -22nd October 1935 was an Armenian priest, musicologist, composer, arranger, singer and choirmaster. He is considered the founder of Armenian national school of music and recognised as one of the pioneers of ethnomusicology. 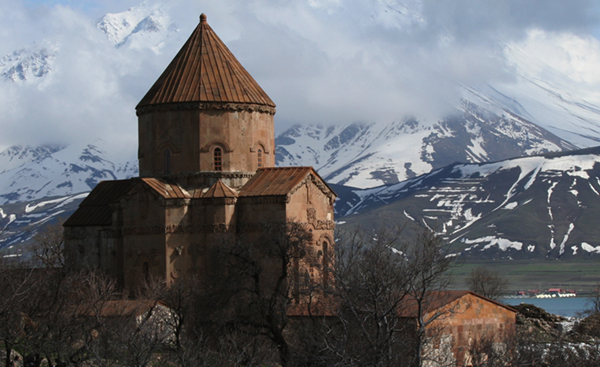 Orphaned at a young age, Komitas was taken technical Cathedral, Armenia’s religious center, where he received education at the Gevorgian Seminary. Following his ordination as vardapet (celibate priest) in 1895, he studied music at the Humboldt University of Berlin. He thereafter “used his Western training to build a national tradition. Vahan Bedelian (above) was my great-uncle (my mother’s uncle, writes Levon Chilingirian). 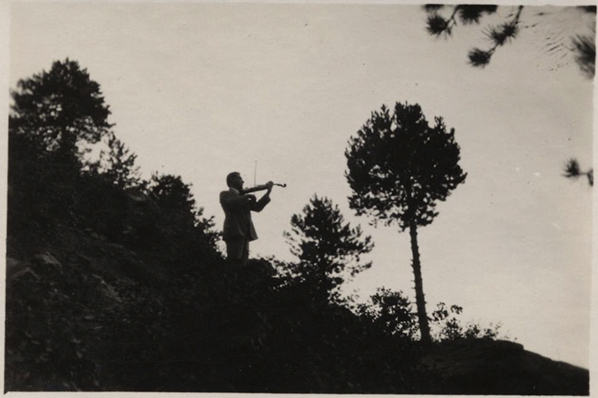 When our family was exiled to Aleppo during the First World War he saved them from deportation into the Deir Zor Desert by playing his violin to the Turkish Governor. 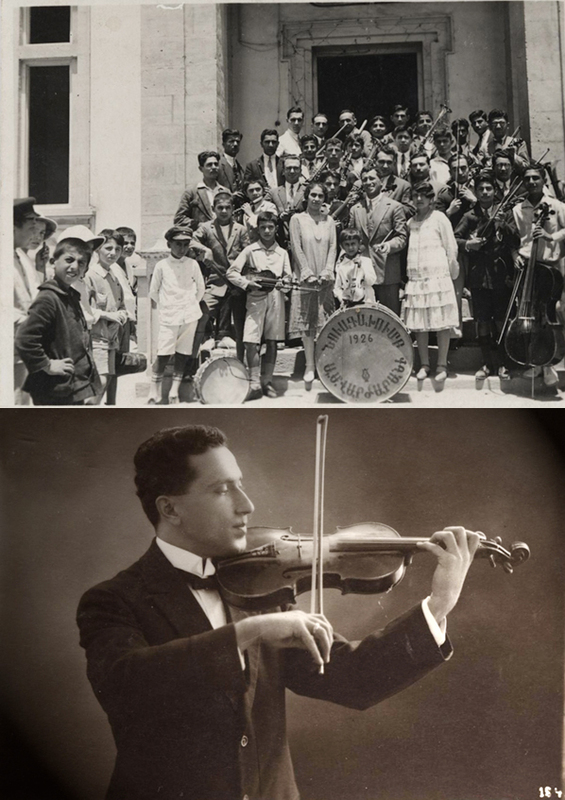 As soon as he arrived in Cyprus in 1922, he formed a choir and played a very important role in the rehabilitation of the community through music. He formed and conducted orchestras, bands and choirs in Armenian, English, Greek and Turkish Schools and was active for well over 50 years. In 1927, he undertook an educational journey to Western Europe. Primarily he visited Germany and France to enhance his musical knowledge. In Paris, he visited the asylum where Komitas was confined. He requested a meeting, but Komitas was not in a mental state to allow this. Having waited for a long time, Vahan finally asked the nurses to hand a letter explaining that he was a devoted church deacon from Cyprus and that it would be the greatest honour to greet him. Komitas apparently just threw the letter onto the floor and ran out to the garden and refused to see him. Subsequently Vahan asked to have the letter back and on his return to Cyprus, had it framed in his music room. All his students were made aware of the significance of this Holy Relic! 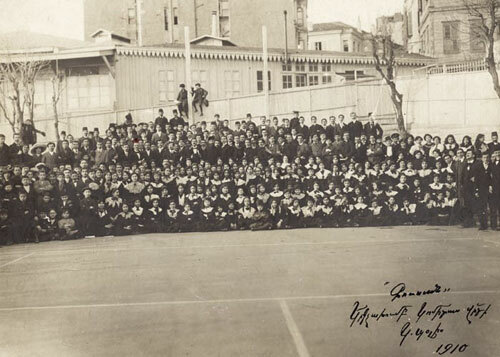 Vahan Bedelian produced many many outstanding students. His nephew, Manoug Parikian( my maternal uncle) went on to lead the legendary Philharmonia Orchestra of the 1950’s and subsequently had distinguished career as a soloist, chamber musician and Professor at the Royal Academy of Music in London. Vahan’s son Haroutune Studied at the RAM, won the BBC VIolin Competition and went on to study with Ivan Galamian in New York at the personal recommendation of Yehudi Menuhin. He has been on the Faculty of UC Irvine in California for almost 30 years, performing throughout America and Europe and producing many outstanding students. In the final song, ‘ Karoun A’, (It snows in Spring, A young lady loses her love) to be performed here, Levon Chilingirian writes a few observations. During the early years of the 20th century and leading up to 1915 an Armenian priest named Komitas was collecting folk songs in much the same way as Bartok and Kodaly did in Hungary – recording and transcribing for posterity the music of the Armenian people. 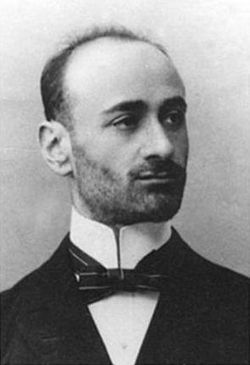 Komitas survived the purge physically, but was mentally destroyed by the experience and spent the rest of his life in anguish, eventually dying in a Paris asylum. 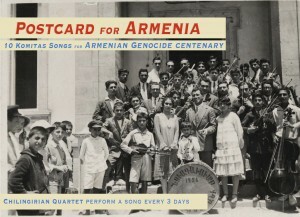 Among the Armenian diaspora were many musicians such as the family of Levon Chilingirian, the leader of my quartet: the Chilingirian Quartet, who fled to Cyprus. Also among these was Sergei Azlamazyan, an Armenian cellist and composer and co-founder of the Komitas Quartet who eventually settled in the Soviet Union. Azlamazyan wanted to be able to perform music from his homeland and so arranged for string quartet a number of songs from those collected by Komitas. My quartet decided it would be a fitting tribute for this important anniversary to film performances of ten of these songs and release one song every three days leading up to the official commemoration day of 24th April. Along with the films there is a wonderful archive of photographs from the family album of Levon Chilingirian and his wife, also Armenian. Levon was the nephew of the great violinist Manoug Parikian, who appears in some of these rare and precious photos. The performances of the songs are interspersed with archive pictures, and the two together make a most poignant and touching record. 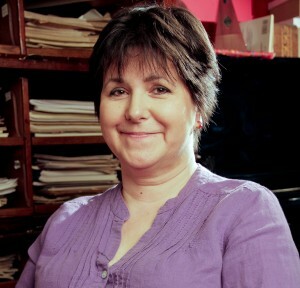 The songs were filmed in the Armenian church of St Sarkis in London, and the project was devised and produced by filmmaker Kevin Laitak. There is nothing quite like music to evoke the spirit of a people, the intangibility of which tells certain things more eloquently than words. In music we hear suggested the pattern of language through rhythm, inflection and articulation; the essence of a people’s relationship with dance and movement born from physical activity and labour (think of all the spinning, threshing, ploughing songs…); the overarching mood and disposition of a nation’s psyche. It is a call to the senses in a very direct way, bypassing the cerebral and overtly conscious. Folk songs are passed down through generations as an aural tradition much as the art of playing an instrument is passed down from master to student, by example. So classical musicians revisiting folk song are reminded of the building blocks of their own musical tradition which over time naturally evolves into something more sophisticated, abstract and self-conscious through its refinement. It’s good to make that journey back to one’s cultural fatherland once in a while. These particular songs are a joy to play. As violist in a quartet my role in repertoire like this would for the most part be fairly fixed and determined. I would mainly be accompanying in the traditional way, providing harmony, texture and rhythm. But happily the viola part has been quite generously provided with solos in these songs, used as it were as an alternative vocal line – the contralto perhaps. The joyful Vahan-Bedelian (1)“hoy Nazan Im” is a boisterous greeting song where the viola stabs through with syncopation and bubbling, rippling lines. “Shoushigi”, dedicated to a little girl, features a most warm and loving melody which is taken over by the viola for a whole verse. I adore playing this one, with its lilting dotted rhythms and sweet line. In some songs, such as “Al Alayloughs”, the viola has the last word, reminiscing the melody in a more wistful way to round off the song. Quite often the viola makes melodic interjections and commentary, such as in the lugubrious middle section of “Shogher Djan”, dragging the other instruments as if by gravity into the deep viola voice. At other times it provides waves of the most rich and searing harmonies – delicious and seductive. “Kelly Kelle” is a conversational song about a woman’s admiration of a man’s walking gait! The viola strides along with the main melody, radiating vibrant warmth from the lower strings. Just because the register of the viola is lower than the violin’s doesn’t mean it necessarily depicts the male character – to me it is a deep and mature woman’s voice. “Karoun A” – the sad Spring song which speaks of a young lady who loses her love. The viola seems to be mourning, weeping long sorrowful notes over and over. “Echmiadzni Bar” is a wild dance, very eastern in character, throughout which the viola plays the same tune as the violin but an octave lower. It is tough and gutsy, later becoming dreamy and filigree, then bursting back to its former punchiness. “Haprpan” – a boy/girl song, full of conversation and fun, loving and longing. The viola is very busy with rhythms both bowed and plucked as well as the occasional cheeky interjection. The remarkable thing about these songs is the absence of awkwardness in marrying one form – folk song – with the medium of classical instruments. There seems to be no fault-line between the two elements, the best of each shining with ease and without compromise. There is richness, there is simplicity. Azlamazyan uses the instruments in a quite classical way without ever resorting to over-folkiness, yet we are without a doubt hearing folk music. Thank you for a lovely concert in Abingdon last night, and especially for playing the Armenian song at the end and mentioning this site. 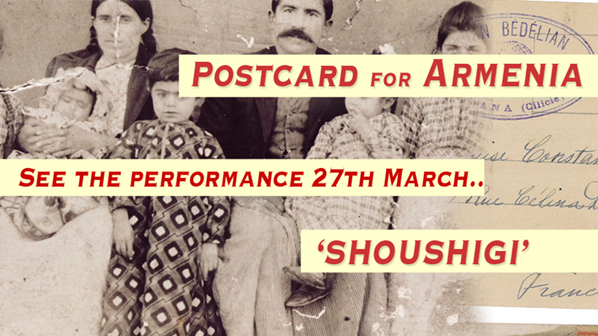 I sang several Komitas (and Suni) songs as a member of the Oxford Armenian Choir in a concert at Dash Arts, London, last March to commemorate the Genocide, and it was interesting to hear the versions arranged for string quartet. I have also sung the Ekmalian Liturgy at an annual service in Pembroke College, Oxford attended by the Bishop. I love Armenian music and have been to several of Aram and Virginia Kerovpyan's concerts when they have come to the UK (I expect you know them). As you say, Armenian music deserves to be much better known in the UK and I hope your work will go some way towards achieving this.